Arman Ali was appointed as the Executive Director of National Centre for Promotion of Employment for Disabled People (NCPEDP). He will succeed Javed Abidi and take over his new role in October 2018. Arman has played pivotal role in bringing disability sector together in North East by forming network of organisations from seven states. He has been the head of Shishu Sarothi – Centre for Rehabilitation & Training for Multiple Disability since 2009. He has worked for the rehabilitation of many physically challenged people as well as leading campaigns and engaging judiciary to uphold rights of persons with disabilities. 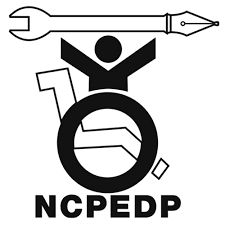 NCPEDP is India’s only cross-disability advocacy organisation working towards empowerment of persons with disabilities. It has to its credit several achievements, including lobbying for creation of new Department for Empowerment of Persons with Disabilities (PwDs) under Ministry of Social Justice & Empowerment, and call for new Disability Act to replace PwD Act, 1995. Q1. Where is NCPEDP headquatered? Q2. Who is appointed as the Executive Director of National Centre for Promotion of Employment for Disabled People (NCPEDP)?